It's hard being different. Everybody in Willy's family is an athlete—even his mom. And, although Willy wishes he were like the rest of his family, no matter how hard he tries he never seems to be as good as they are. When he hears there's going to be wrestling try-outs, he and his best friend sign up. Even if they never get to play, they'll be the best benchwarmers of all time! 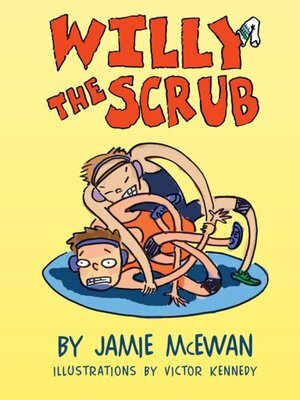 A hi-lo book for reluctant readers.